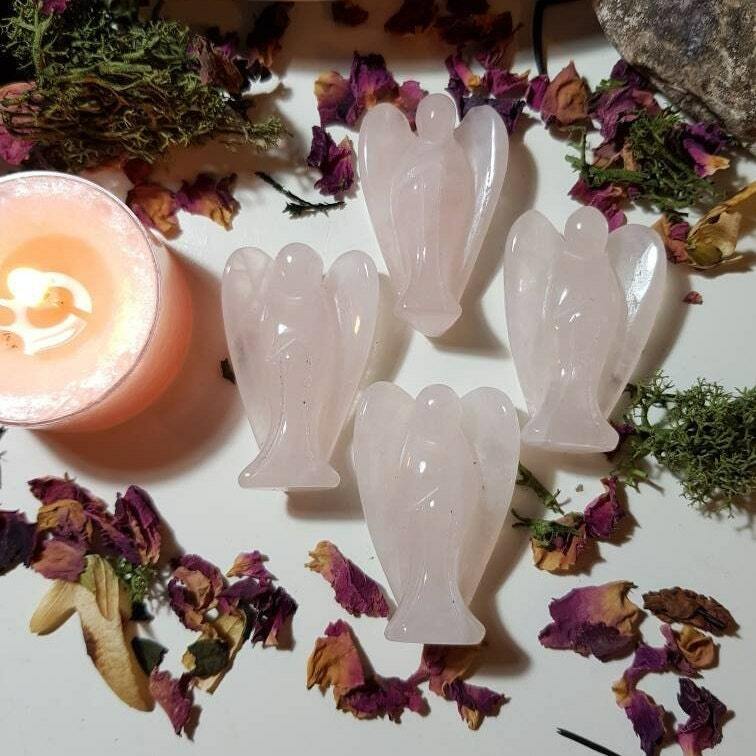 Rose Quartz is a crystal that represents love of all sorts. 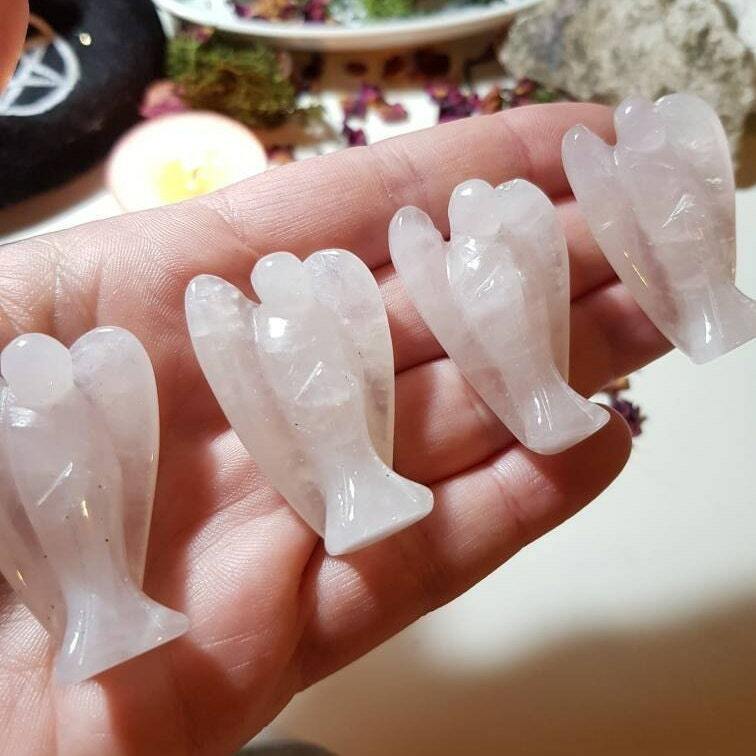 It is a wonderful emotional healer and stone to bring comfort. 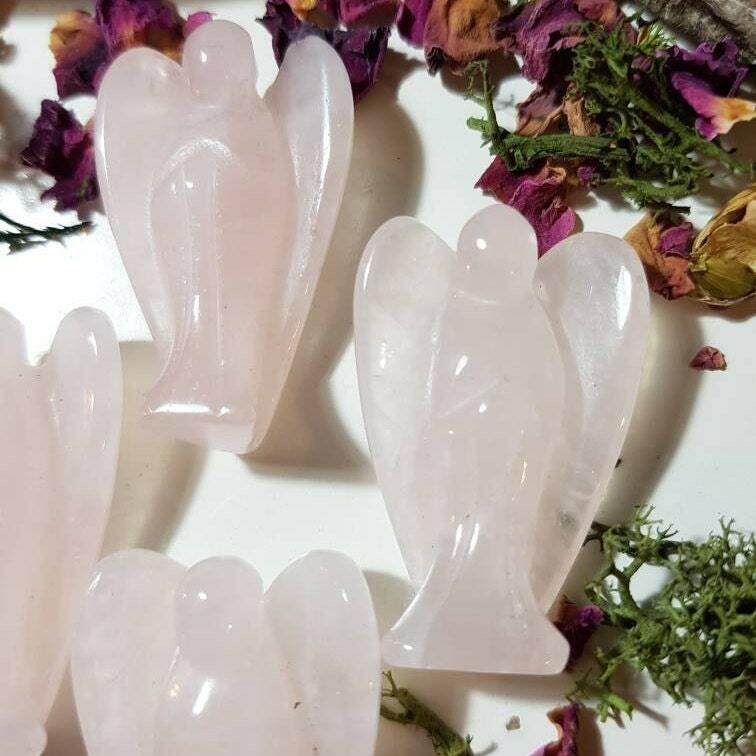 Rose Quartz Angels measure approx. 4cm x 3cm.